There’s something special about the start of June, especially in Spain. Maybe it’s because temperatures have already reached the mid-30s, or that many local festivals take place this time of year; whatever it is, there’s a certain buzz, particularly along its coastlines as temperatures get warmer, drinks get colder and everyone gets that little bit happier. There’s so much to look forward to, and with our offices in the Costa del Sol and Costa Blanca, we’re right in the centre of all the action. There are plenty of festivals coming up over the next few months and it’s worth attending a few if you’re planning on making Spain your new home. Festivals tend to make Spain stand out from the rest of Europe, not just because of the celebration itself, but because the Spaniards’ enthusiasm and zest for life make them unmissable events. Some of the best festivals occur during these next few months, when pretty much the whole country has gone to the beach, and people lose themselves in a sea of music, food and a glass of vino, surrounded by family and friends. In a few days’ time, Marbella will host its annual feria in honour of the city’s patron saint, San Bernabe, and like many other cities this time of year, Marbella will be brimming with flamenco, street parades and plenty of food and drink. Then a few weeks later, on summer solstice, the festival of San Juan takes place, not just in Spain but around the world…although the Spanish do it best! The biggest celebration takes place in Alicante, although most coastal towns in Spain burn bonfires by the beach and people camp out on the sand and drink and play music for the days leading up to and after the celebration. You’ll find fireworks, music and in many cases people running into the sea at midnight to cleanse their bodies of evil spirits, or even brave souls jumping the bonfires, most probably after a few strong beverages! To see the most spectacular San Juan shows, head to the Valencia region particularly Alicante, where the biggest and most flamboyant displays occur.summer solstice, the festival of San Juan takes place, not just in Spain but around the world…although the Spanish do it best! The biggest celebration takes place in Alicante, although most coastal towns in Spain burn bonfires by the beach and people camp out on the sand and drink and play music for the days leading up to and after the celebration. You’ll find fireworks, music and in many cases people running into the sea at midnight to cleanse their bodies of evil spirits, or even brave souls jumping the bonfires, most probably after a few strong beverages! To see the most spectacular San Juan shows, head to the Valencia region particularly Alicante, where the biggest and most flamboyant displays occur. This time of the year is also perfect for al fresco dining. Particularly in Andalusia, where summer temperatures can soar into the mid-40s, figures have already reached the mid-30s in places such as Seville and Cordoba, making it ideal al fresco dining weather. For the perfect Spanish al fresco dining experience, we suggest creating a large enough space for a big group and inviting all your friends and family over to your home in the sun. Be sure to have a sheltered area for some well needed shade though! In terms of what’s on the menu… a mixture of barbecued food with salads, sliced vegetables/fruit, pasta, cheeses and pâtés are perfect for al fresco dining. Bon appetite! It’s not just the weather that’s heating up this year, Spain’s economic growth is accelerating by the month, which is a huge positive for the property market this summer. The country’s economic growth is showing signs of speeding up in the second quarter of 2017 with gross domestic product expanding by 0.8 percent in the first three months of the year. Additionally, the Spanish economy will grow faster than other countries on the continent, at a pace of 2.8% in 2017 and 2.4% in 2018. Therefore, the Spanish property market is strengthening, expanding by 14.4% in the first quarter. Cities such as Alicante, which are already property hotspots, have seen property sales hit a nine-year high, with sales figures up by 39 percent on last year in the Costa Blanca. This is great news and we’re busier than ever, helping clients find their dream home in Spain. We receive around 3,000 enquiries each month from British buyers and French, Dutch, German and Scandinavian markets. British buyers still form the largest group of foreign investors, accounting for 15% of the foreign market in the first quarter of 2017. To meet the demand from Europe, we have a dedicated multilingual sales teams in the Costa del Sol and Costa Blanca who are well-appointed to handle non-British clients. Also, with various airlines now flying to more Spanish cities than ever before, the foreign investment market in Spain will only continue to grow. British Airways, Ryanair and EasyJet are all offering additional Spanish routes this summer, with Scandinavian based SAS having plans in place to expand bases in London and Spain, understanding that the demand and competition for Spanish flights is higher than ever. Viewing tips are an absolute must if you’re considering buying a home in Spain this summer, after all, you wouldn’t buy a car before seeing it first, would you? Homes sell themselves and need to be seen in the flesh to truly appreciate their splendour. What sets us apart from other agents is the ability to offer bespoke one-to-one viewing trips to your desired location. You won’t form part of a large group; you’ll be shown several properties that have been hand-picked with your budget and wish-list in mind. Viewing property in person is a valuable way to ensure your decision is the right one for you. Our team can organise everything from start to finish so you don’t need to worry about booking travel, accommodation or property viewings. All of this is covered. 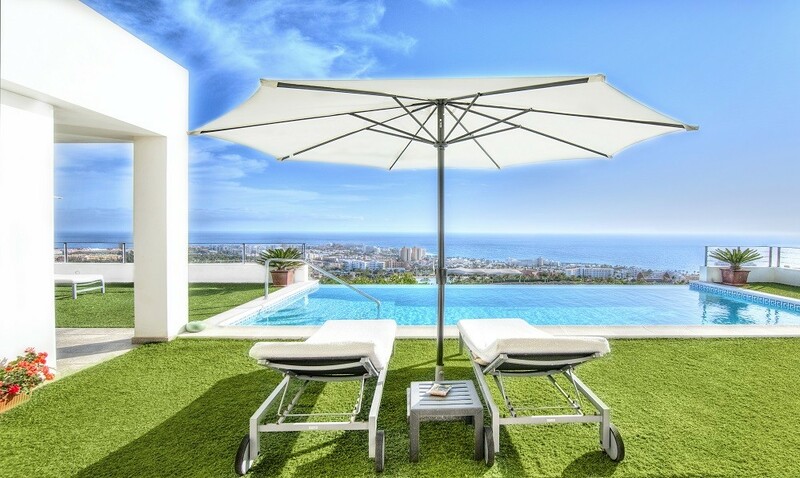 We have access to tens of thousands of properties on the Costa del Sol and Costa Blanca and network with only the best developers, meaning that we’re well placed to help you find the best property, and have plenty of hot properties to offer this summer. Whether you’re looking for a getaway retreat nestled in the hills of Marbella, or a permanent home in Denia, we’ve got something for you.